Thermography may also be used for full body imaging. 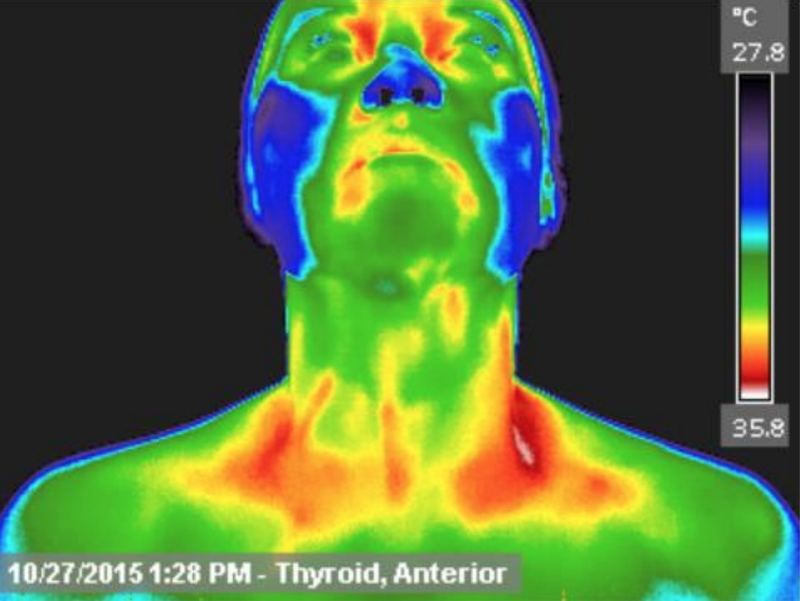 Our center provides full body thermography for the detection of thermal markers that may alert your doctor or natural health practitioner to a current or future problem. Our clinic uses the FDA Approved 7320 P-Series Camera as the medical device for screening. (FDA 510k). For even more information, you can check out this VIDEO. Disclaimer: Breast thermography offers women information that no other procedure can provide. However, breast thermography is not a replacement for or alternative to mammography or any other form of breast imaging. Breast thermography is meant to be used in addition to mammography and other tests or procedures. Breast thermography and mammography are complementary procedures, one test does not replace the other. All thermography reports are meant to identify thermal emissions that suggest potential risk markers only and do not in any way suggest diagnosis and/or treatment. Studies show that the earliest detection is realized when multiple tests are used together. This multimodal approach includes breast self-examinations, physical breast exams by a doctor, mammography, ultrasound, MRI, thermography, and other tests that may be ordered by your doctor or natural health practitioner.